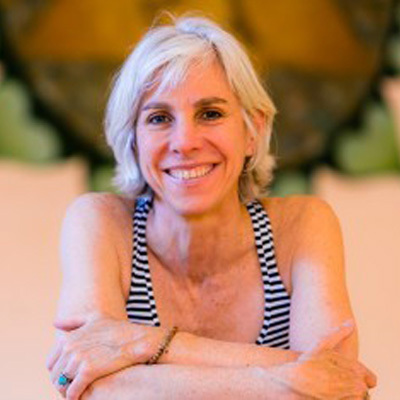 As an acupuncturist, yoga practitioner and teacher for over 20 years, Carin naturally utilizes the concepts of these healing modalities in her work. She has studied Ashtanga yoga with K. Pattabhi Jois in India and Tias Little in Santa Fe; Iyengar Yoga with Tias, John Friend, Debra Bristow and various others; and Viniyoga with Sonia Nelson and Gary Kraftsow, and draws from these traditions to create her classes. She also draws on her vast knowledge of sports medicine to create a yoga practice that focuses on increasing range of motion potential, supporting and protecting students from injury, as well as imparting information to deepen into yoga through a connection with the breath. As a result, the practice has the capacity to become an unfolding of unlimited transformational potential. One of the great joys of teaching for Carin is meeting students right where they are – in their bodies – and supporting their connection with self.